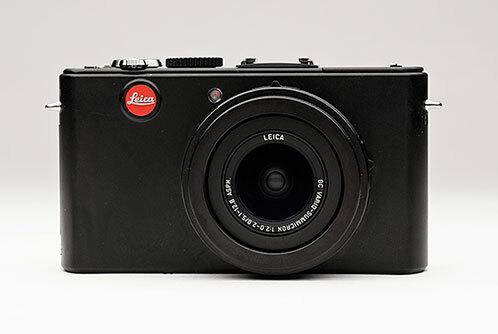 Leica has always been a highly regarded name in photography. The new D-Lux 4 certainly raised some eyebrows when it was announced by offering a short but fast zoom range of 24-60mm f/2.0-2.8. Also, instead of opting for more megapixels, the D-Lux 4 kept the same amount as its predecessor and improved on the quality of pixels. I’ve had the chance to shoot with the D-Lux 4 for a couple of days, so continue reading to see if it is truly worthy of the Leica name. Editor’s Note: Initial impressions are not meant of be an exhaustive review but rather my opinions and observations of a camera. The D-Lux 4 has the same sleek matte black finish of its predecessor, the D-Lux 3. In terms of size, the camera is slightly larger than most compact cameras on the market but definitely smaller than most other cameras in its class, like the Canon Powershot G10. I personally found the size to be absolutely perfect, but I can see it being a little awkward for someone with big hands. There’s also the welcome addition of a hot-shoe. The back of the D-Lux 4 is dominated by the 3-inch LCD display. I know the lack of an optical viewfinder will be a turnoff for some; however, I didn’t have a problem seeing the LCD in bright sunlight or dark conditions. 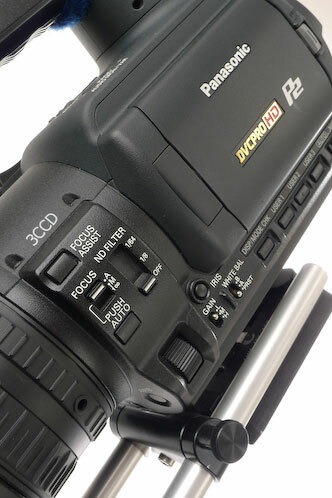 The top of the camera has a traditional mode dial, which gives you access to the Automatic and Scene modes, PASM, movie mode, and the two custom user settings. 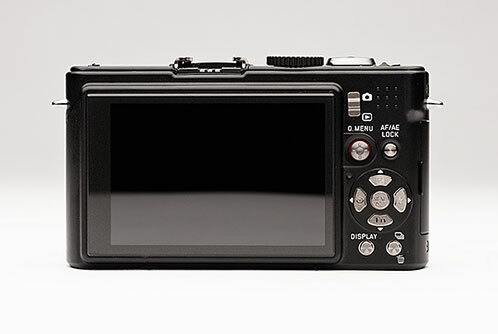 The top also has a “focus” button next to the shutter release that allows you to select focus points on the fly. The lens has two mode switches: one for the different focus modes (AF, AF Macro, and Manual) and another to select between the aspect ratios (4:3, 2:3, 16:9). The back of the camera is where the bulk of your controls are, with a lot of them based around the joystick “quick selector.” At first I thought the quick selector would be a little awkward, but it becomes extremely intuitive after a little use. Moving the stick left or right toggles between your aperture and shutter (or exposure compensation), while moving the stick up and down adjusts those values. Pressing the stick in gives you access to the “Quick Menu,” where you can quickly change options such as film mode, metering, focus, white balance, ISO, Intelligent ISO, Intelligent Exposure, and image size. The traditional cross selector offers most of your other controls, including a function button that can be programmed to quick review (I recommend this function), Film Mode, ISO, white balance, metering, and Intelligent Exposure. There are a couple of quirks with the exposure compensation and flash buttons. Even though you have to manually pop up the flash to use it, it defaults to the auto mode. Although it fired most of the time, there were situations where I wanted fill light but the camera felt there already was enough light. In order to make the flash fire when you pop it up, you have to make sure “Always Fire” is selected in the flash sub-menu. The other quirk is that the exposure compensation button also gives you access to flash compensation, not the flash button. Since I was primarily using the quick selector to adjust exposure, it was very easy to overlook this. I personally found the flash a little overpowering by default so the flash compensation is a must. To put it simply, the D-Lux 4 is unlike any other point and shoot camera I’ve ever used. The camera offers nine different color modes, plus two different user-defined color modes. There’s also a mode called Multi Film, which is essentially a color bracketing mode that allows you to take a burst of images in up to three different film modes. The colors straight out of the camera are absolutely wonderful – extremely vibrant without being overly saturated. The lens range may seem short compared to most compact cameras on the market, but I found it to be versatile. Having a 24mm on a compact was a real treat and lends itself to some very interesting shots. Couple that with an extremely fast f/2.0-2.8 lens and Image Stabilization, and you’ve got an awesome little camera for low light photography. I was completely blown away by just how sharp the lens is. Below are a few shots that demonstrate how much detail the lens captures. One is a studio shot (Editor’s Note: We had no problem using this camera with strobes via Pocketwizards, as silly as that may seem), and another is a very low shutter speed shot handheld demonstrating the Image Stabilization. Last, we have a shot of a swan (roll over for 100% crops). The camera does an excellent job up to ISO 400, and even produced useable results at 800 and 1600. The D-Lux does marginally better in this regard compared to most compact cameras due to its slightly larger sensor size, but still doesn’t yield results comparable to an APS-C DSLR. I will say even though there is a lot chroma noise, camera’s noise reduction seemed to do a excellent job of retaining detail. I was a little disappointed to see Leica abandon the DNG RAW format for this camera. RAW files are a RWL that open with the provided Capture One 4 software. I did not play with the RAW files since I primarily use Lightroom and Adobe Camera RAW, but I’d imagine there will be Adobe support in the future. The biggest problem I had with the images for this review is narrowing down which ones to include. These are all JPEGs directly from the camera and resized for web. A few of them are courtesy of my fellow photographer LeRoy Rosario, who also had a chance to shoot with the camera. Editors Note: You can also find more images from the D-Lux 4 in the Images of the Week for 11/02/08. Whenever Leica comes out with a camera, there are always comparisons with its Panasonic counterpart (in this case, the Lumix LX-3). Both cameras are in fact manufactured by Panasonic, and many people feel you are simply paying a “red-dot tax” to have the Leica version. I have not used the Panasonic version of this camera, but Leica does in fact have their own color curves and profiles that are different from the Panasonic counterpart. Also, the three year warranty is a much better value over the 1 year parts, 90 days labor warranty from Panasonic. Couple that with the provided Phase One Capture One 4 software, and you can justify the price. I’m not saying $849.99 isn’t steep for a point and shoot camera (because it is), but when comparing the two cameras, you have to look at the total value to make a fair comparison. As I said earlier in my initial impressions, the Leica D-Lux 4 is unlike any other point and shoot camera I’ve ever used. If you can get past the price tag, it is an absolutely wonderful camera. I couldn’t believe that this little camera was able to capture the shots it did. The controls were intuitive, the colors were incredible, and it’s just about the perfect size to carry around. While it’s pricier than most of the cameras in its category, I think the D-Lux 4 is truly in a class of its own. Special Thanks to LeRoy Rosario for providing select images from the D-Lux 4 in this review.